When old Uncle Ebert keeled over, we thought that was the last of it. So the paramedics zipped him up and shipped him to the mortuary. The next few days were typical. We planned his wake as he chilled in the coolers of the morgue. So, it was the last thing we expected when we rolled him out to get him all dressed up one last time and he began to shake! We didn't know what to do. We unzipped the bag but he was indeed still deceased. Most people would just bury him and get it over with but we happen to know that good ol' Ebert was a huge Halloween fan. Using his unusual post-mortem condition for our Halloween decor might be the best way to honor him for his wake. That's what we call good timing! Turns out, it was a frightening hit with the trick-or-treaters, just what our uncle would have wanted! And that's why we think you'll love having a shaking body bag of your own. Now, this product only has mechanics inside rather than Uncle Ebert, he was entombed shortly after the Halloween revelry so you don't have to worry about the formaldehyde smell. Ebert seemed to rest in peace as soon as he celebrated Halloween one last time. At about five feet tall, you can hang it from your porch or use it inside for a super creepy accent at your Halloween bash. 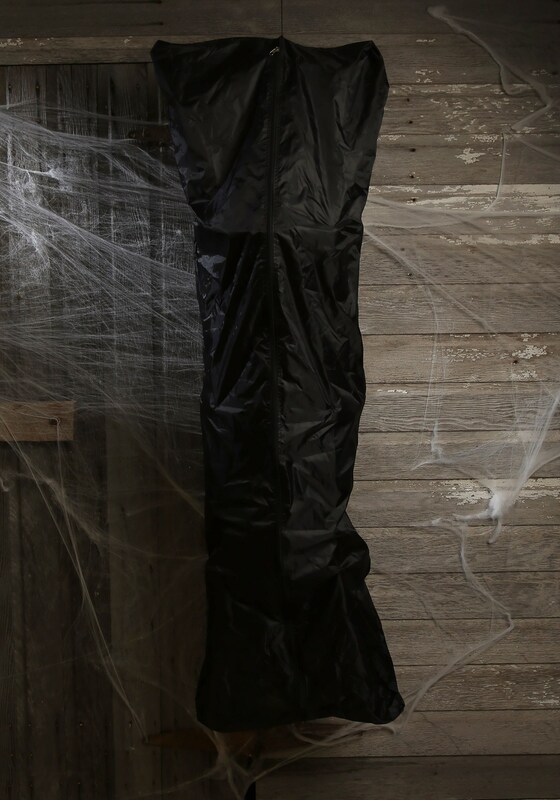 The black body bag will speak and shake to send shivers down the spines of guests or neighbors for the ultimate spooky showstopper. If you're ready to make your Halloween decor more memorable than ever than you'll love this dark and comical body bag. You'll have a great time watching trick-or-treaters react to the shaking and quaking of this mysterious bag. Just make sure you remember this is hanging at your house, you don't want to spook yourself!